Cut The Rope (The objective is to 'Cut The Rope' by touching it in the right place with a star (or other tool) in a way that will pop the candy into Om Nom's mouthPsychologists who study the impact of video games on the human brain have an interest in how games can be utilized to reinforce certain everyday thinking skills. Assistant Professor of Psychology at Nanyang Technological University in Singapore, Michael D. Patterson, is considered an expert in the psychology of video games. He has previously identified certain thinking skills enhanced by individual games, but the game 'Cut The Rope' is the first one, according to Patterson, that shows evidence of improving 'executive function' in adult gamers. Executive function is a decision-making skill that is made quickly, usually within a time limit or under other duress. Patterson gives the example of the kind of decision we make when we approach a yellow traffic light; it is our executive function that decides whether we can drive through the light before it turns red or we can't make the light so we should come to a stop. In this latest study conducted by Patterson and a PhD graduate student, Adam Oei, four groups of undergraduate students, non-gamers, were assigned to play four different games: one included a first person shooter (Modern Combat); one was an arcade game (Fruit Ninja); another demanded a real-time stategy (StarFront Collision); and the fourth was a complex puzzle (Cut The Rope). The four groups were instructed to play their assigned video games one hour a day, five days a week, for four weeks on an iPod or iPod Touch. 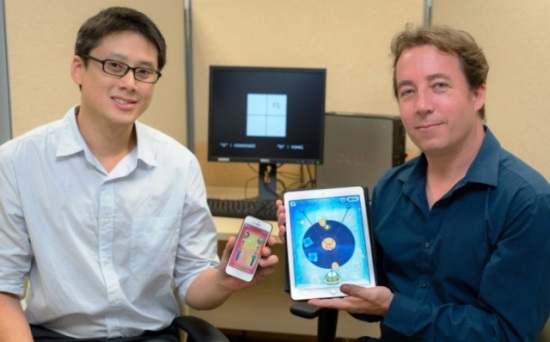 Of the four groups, the students who completed the Cut the Rope training were the only ones who showed enhancement in executive function, according to the study. After only 20 hours of video play, Cut The Rope players could switch between tasks 33 percent faster, adapted to new situations 30 percent faster, and showed a 60 percent improvement at blocking out distractions than they were prior to the training on the Cut The Rope video game. 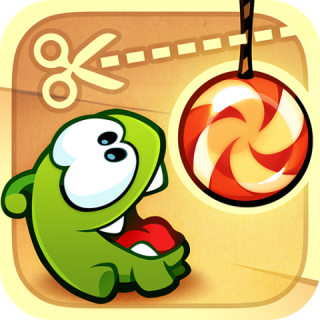 Professor Patterson believes that Cut The Rope sharpened these skills because the puzzle makes players change strategies with each new task, unlike many other games which may demand greater speed or an increased score, but carry over the same strategies. "This finding is important because previously, no video games have demonstrated this type of broad improvement to executive functions, which are important for general intelligence, dealing with new situations and managing multitasking,” said Professor Patterson. “... while some games may help to improve mental abilities, not all games give you the same effect. To improve the specific ability you are looking for, you need to play the right game,” added Mr Oei. The study is currently accessible on Science Direct. A previous study conducted by Patterson and Oei demonstrated that adults who play action games improved their ability to track multiple objects in a short span of time (useful when driving during a busy rush hour), while other games improved the participants’ ability for visual search tasks (useful when picking out an item from a large supermarket).